Charles Lazarus, the founder of retail chain Toys ‘R’ Us, has died at the age of 94. His death comes just a week after the company announced its plans to close its US and UK stores. 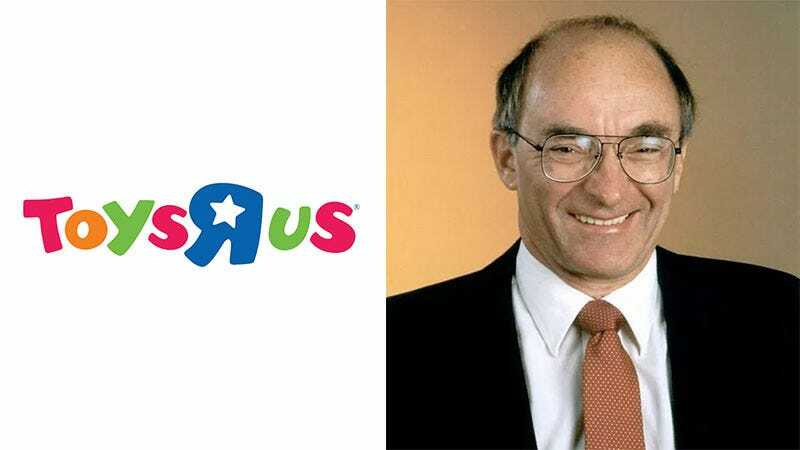 Born in in 1923, Lazarus founded Toys ‘R’ Us in 1948, and was the company’s CEO until 1994. He remained chairman until 1998. In addition to founding the company, Lazarus was responsible for two of its most iconic representations: the backwards “R” in the logo, and the company’s mascot, Geoffrey the Giraffe. Lazarus died earlier today in Manhattan, Bloomberg reports.